NIT Trichy Recruitment 2019: NIT Trichy - National Institute of Technology, Tiruchirappalli / www.nitt.edu is conducting recruitment processes to fill 1 vacancy. As of now, there is one recruitment drive going on for Junior Research Fellow Post. NIT Trichy Recruitment 2019 - Job notification for Junior Research Fellow Post on a project entitled “Development of Dense Deployable Massive MIMO antenna system for 5G wireless communications with reduced correlation/ mutual coupling” in Department of Instrumentation and Control Engineering, NIT Trichy, Tiruchirappalli, Tamil Nadu on Temporary Basis. Applications are invited by NIT Trichy - National Institute of Technology, Tiruchirappalli on or before 26 Apr 2019 for 1 vacancy. 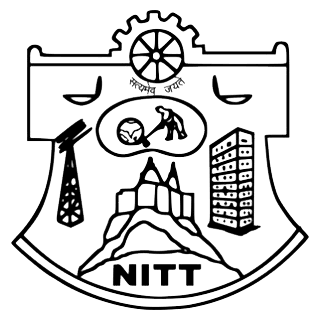 NIT Trichy Recruitment 2019 - Walk in for Accounts Trainee, PA & DEO Posts in NIT Trichy, Tiruchirappalli, Tamil Nadu on a Temporary Basis. Candidates are invited by NIT Trichy - National Institute of Technology, Tiruchirappalli to attend walk-in-interview to be held on 03 & 04 Apr 2019 at 09:00 AM for 8 vacancies. NIT Trichy Recruitment 2019 - Job notification for JRF Post on a project entitled “Development and Validation of an Affordable Handheld Device for diagnosing compressive neuropathy by two point discrimination test in diabetic subject” in Department of Instrumentation and Control Engineering, NIT Trichy, Tiruchirappalli, Tamil Nadu. Applications are invited by NIT Trichy - National Institute of Technology, Tiruchirappalli on or before 12 Apr 2019 for 1 vacancy. NIT Trichy Recruitment 2019 - Apply Online for Professor Posts in NIT Trichy, Tamil Nadu. Online Applications are invited by NIT Trichy - National Institute of Technology, Tiruchirappalli from 24 Feb 2019 to 23 Mar 2019 05:00 PM. NIT Trichy Recruitment 2019 - Job notification for Research Fellow Post on a project entitled "Real time control of position of the Missiles through image processing" in NIT Trichy, Tiruchirappalli, Tamil Nadu. Applications are invited by NIT Trichy - National Institute of Technology, Tiruchirappalli on or before 20 Mar 2019 till 04:00 PM for 1 vacancy. NIT Trichy Recruitment 2019 - Job notification for Manager & Student Coordinator Posts in Siemens Centre of Excellence In Manufacturing, NIT Trichy, Tamil Nadu on Temporary Basis. Applications are invited by NIT Trichy - National Institute of Technology, Tiruchirappalli on or before 08 Mar 2019 till 05:00 PM for 2 vacancies. NIT Trichy Recruitment 2019 - Job notification for Senior Medical Officer & Librarian Posts in NIT Trichy, Tamil Nadu on Deputation Basis. Applications are invited by NIT Trichy - National Institute of Technology, Tiruchirappalli on or before 13 Mar 2019 for 2 vacancies. NIT Trichy Recruitment 2019 - Apply Online for 134 Assistant Professor Post in NIT Trichy, Tiruchirappalli, Tamil Nadu. Online Applications are invited by NIT Trichy - National Institute of Technology, Tiruchirappalli from 30 Jan 2019 to 28 Feb 2019 for 134 vacancies. NIT Trichy Recruitment 2019 - Job notification for Junior Research Fellow Post on a project entitled "Numerical Study on Electrokinetic flow through Polyelectrolyte coated Nanopore" in Department of Mathematics, NIT Trichy, Silchar. Applications are invited by NIT Trichy - National Institute of Technology, Tiruchirappalli on or before 28 Feb 2019. NIT Trichy Recruitment 2019 - Walk in for Temporary Guest House Manager Post in NIT Trichy, Tiruchirappalli, Tamil Nadu on Temporary Basis. Candidates are invited by NIT Trichy - National Institute of Technology, Tiruchirappalli to attend walk-in-interview to be held on 29 Jan 2019 09:00 AM for 1 vacancy.